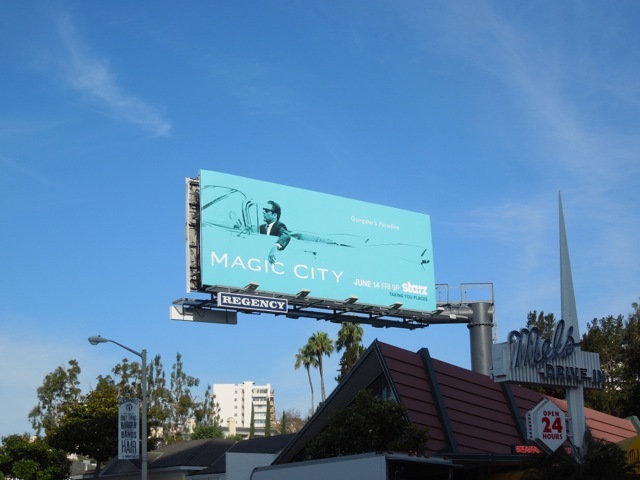 Looks like someone has taken a leaf out of Don Draper's book, as this retro billboard for Magic City's sophomore season certainly has a Mad Men quality to it. 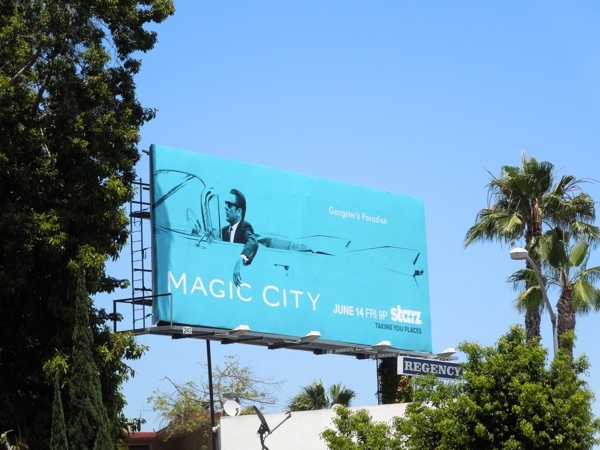 That being said, it is a pretty eye-catching ad, especially with that cool monochromatic Tiffany blue colour. 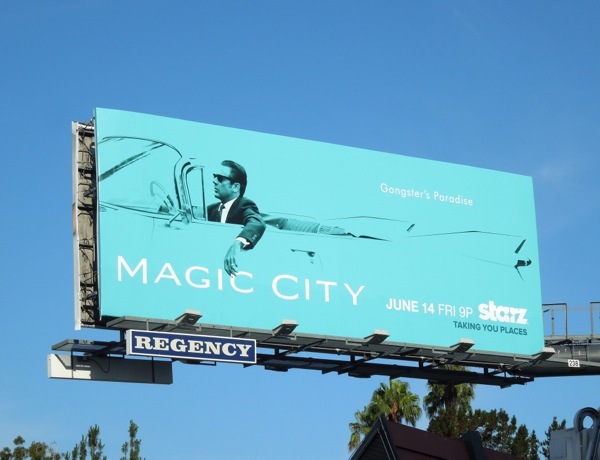 Jeffrey Dean Morgan returns for a second season as 'Ike Evans', trying to keep the dream of his glamorous Marimar Playa Hotel alive in Miami Beach's late 50's/early 60's heyday of gangsters, glitz and gambling. 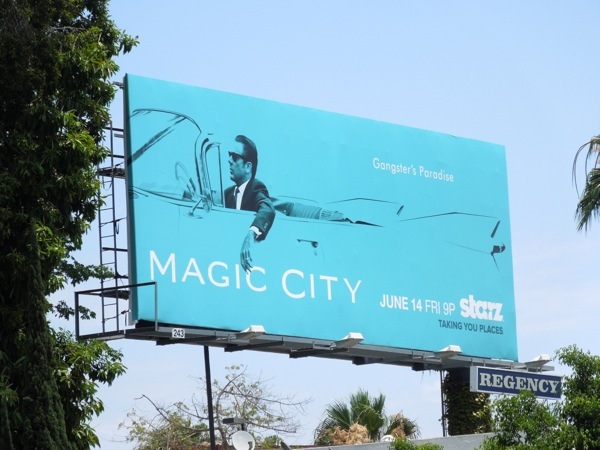 This ever-so-smooth billboard creative, with Ike cruising in his Cadillac Eldorado Biarritz, was spied along L.A.'s infamous Sunset Strip in two different locations on June 11, 2013. 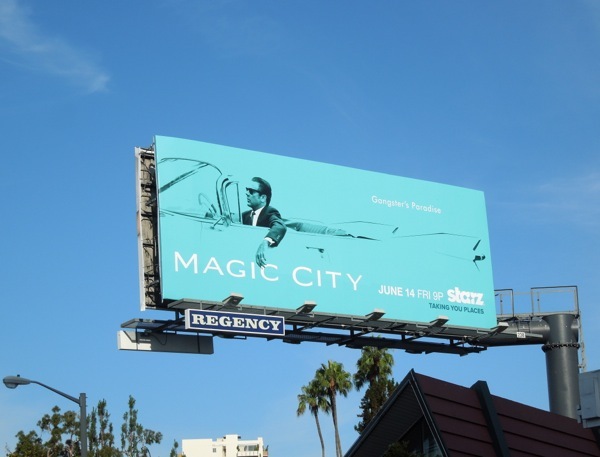 If you're a fan of the Starz original series, be sure to check out these Magic City season one billboards too.